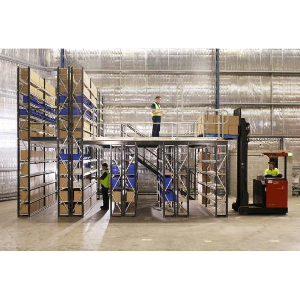 Dexion Longspan two-tier is flexible and robust with a wide variety of applications, such as archives, factories and retail outlets. It is readily customised to specific requirements; bay lengths can be mixed and matched, staircases added, along with pallet gates, bridges and anything else your space needs. Suitable for heavier, bulkier items.